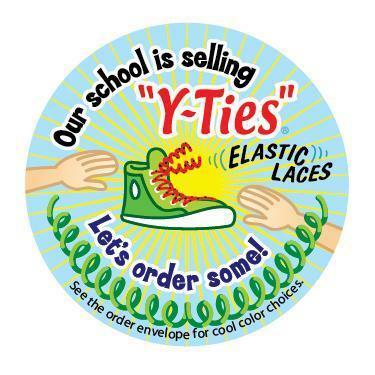 Coach Williams is selling Y-Ties to raise money for new P.E. equipment! If you don't know what Y-ties are, they are stretchable non-tying shoelaces that you replace your boring old laces with. They come in many cool colors and make putting on your shoes a breeze. Look for more information and order forms to come home soon in your child's folder. If you have any question you can contact your child's teacher or coach Williams. 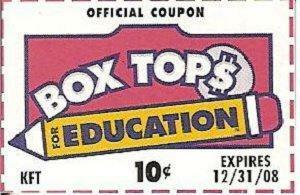 Be sure and cut out those box tops from all participating products. When you send them to our school we earn lots of money which we use for student activities such as field day, special performances, and more. We appreciate you taking the time to cut them out and send them with your child. It really does make a difference. With your help we have been earning well over $1000 the last few years. Let's keep it going and earn even more.